/ We Have Met the Enemy And . . . Does NASA Believe Civilization Will Collapse? We Have Met the Enemy And . . . Does NASA Believe Civilization Will Collapse? 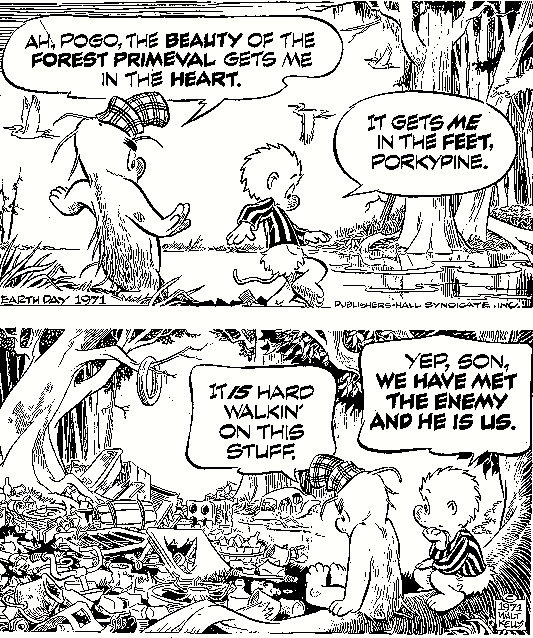 That fateful line — “we have met the enemy and he is us” — was uttered by Walt Kelly’s cartoon character Pogo some 40 years ago, but in many respects it applies even more today as we try to tackle climate change. The ongoing kerfuffle over an allegedly NASA-funded study suggesting that civilization is headed for an “irreversible collapse” is a narrow but good example of what Pogo was talking about. (You can follow the links below for more information, or you can watch a 6 minute video version of this blog here that shows you all the key pieces of the puzzle). Now that the study itself is available, we can better ascertain what it actually said. With that information other bloggers (see, primarily Keith Kloor and Robert Wilson) have challenged not only Ahmed’s original characterization of the study, but also Ahmed’s personal credibility and even the competence of the study’s authors. Ahmed has responded to the criticisms in what has become an online sparring match, defending his original characterization of the study and attacking his attackers. The Twitterverse has also joined the fray. So what’s it all about? Well, as it turns out, nothing. The original “study” is a short paper soon to appear in the journal Ecological Economics. The authors did receive NASA funding for related activities, but there was no NASA involvement with the paper. The paper itself documents an extremely simple 4-equation model of civilization dynamics. What makes the paper interesting is the inclusion of two variables in particular, economic inequality and resource depletion. Ultra-simple models like this one can be useful, as the paper notes, for running “thought experiments.” And it’s not surprising that in some of those “thought experiments” the system would collapse. But that says virtually nothing about whether our civilization faces “irreversible collapse,” since no one would ever suggest that simplistic “thought experiments” can predict the future. Except that, of course, Ahmed’s blog suggests exactly that, and suggests that NASA was involved. I don’t know who wrote the headline for Ahmed’s original blog, but I do know that we can all get over-enthusiastic at times, and this appears to have been one of those times. 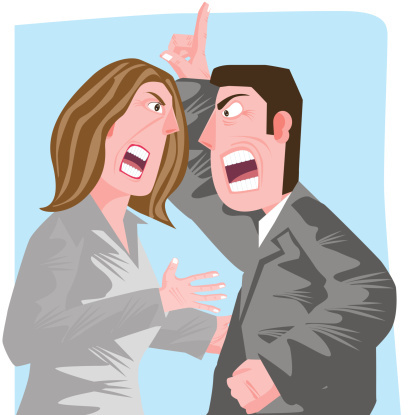 It’s what has happened since then, however, that’s most alarming when it comes to thinking through how to communicate complicated issues to the public. Numerous information outlets (and even credible websites) ran this “non-story” without asking any questions or checking facts. Other bloggers didn’t just clarify the record, but launched personal attacks on Ahmed and the paper’s authors. Ahmed has refused to acknowledge any mistake in judgment in how the paper was originally characterized, and has responded to his critics in kind. All over a minor paper exploring extremely simplified “thought experiments.” A total non-event in forecasting the future of civilization, and something the public really doesn’t have any reason to know about! 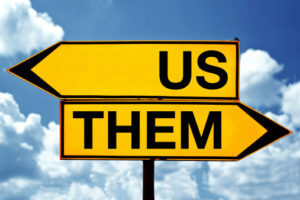 In a 2012 interview with Bill Moyers, social psychologist Jonathan Haidt (author of The Righteous Mind: Why Good People are Divided by Politics and Religion) suggested two primary actions for addressing problems like climate change, the first of which was “stop demonizing the other side.” Unfortunately, we’ve failed to internalize the message that verbal warfare is not a conducive environment for making progress on complicated issues. 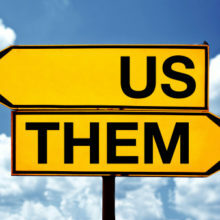 The only winners in this kerfuffle are those people looking for ammunition to characterize problems like climate change as the invention of sensationalistic climate alarmists. And we’ve given them a lot to cheer about. Like what you're reading? Feel free to share! Is Actionable Climate Knowledge Available? Business Stepping Up on Climate Change? Should You Bank on Climate Risk Disclosures? Thanks for an incisive summary of the kerfuffle. Thanks Mark. It brings to mind Nate Silver’s “The Signal and the Noise” and his observation about the complete lack of predictive accuracy on the part of just about anyone whose living is tied to their position as an expert or pundit. The discussion become much more about personal brand than substance, and this goofy tale may be yet another example of that. Did the Trump Administration Say It’s Too Late to Tackle Climate Change? Subscribe to our newsletter to have insights sent straight to your inbox. Get Information You Can Use!